There are several locations in the Rockford region that pay tribute to those who have served in the military for our country. I hold a great deal of respect for those who have served because not only have my two grandfathers both served in the military, but my husband, father-in-law and brother-in-law all have as well. Each one of these memorials in the region is unique, and I encourage you to go see each one in person for yourself to fully appreciate them! Veterans Memorial Hall is the first war memorial building in the United States. It was dedicated in 1903 which included ceremonies attended by none other than President Theodore Roosevelt. The building is a tribute to Rockford citizens who have served in the Armed Forces. 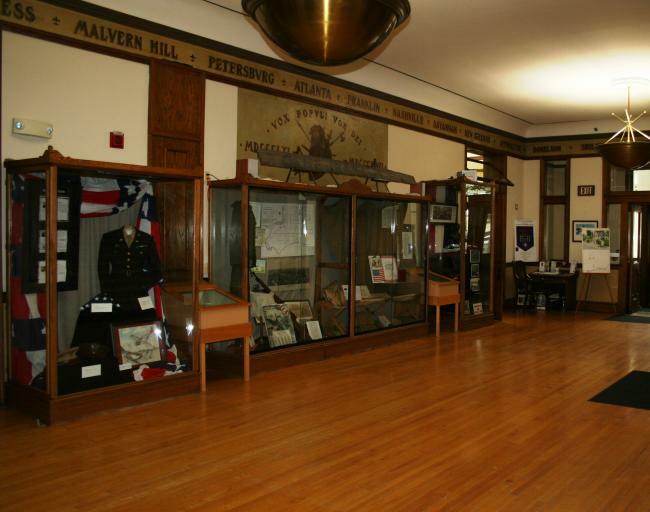 Inside the building are several display cases showcasing uniforms and artifacts from the Civil War, World War I, World War II and Camp Grant. In 1976, the building was placed on the National Register of Historic Places. You won&apos;t have to go far at all to see this second memorial. Just on the east side of the Veterans Memorial Hall building, this sculpture has recently found a new home in this location. 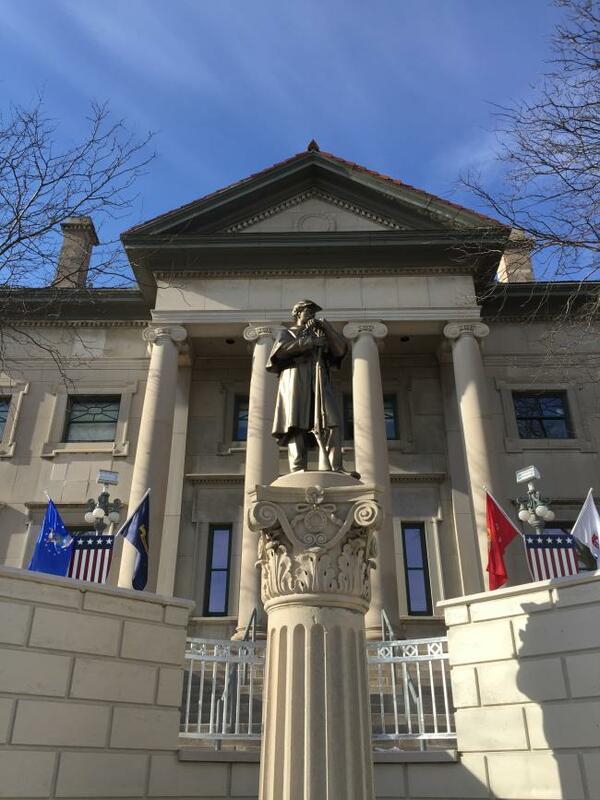 The sculpture depicts a Civil War infantryman on top of a stone Corinthian column. The sculpture originally stood in the foyer of the old Winnebago County Courthouse and was a gift from the G.A.R. Auxiliary in 1877. After several location changes, it&apos;s current home outside Veterans Memorial Hall seems like a fitting place for this sculpture. 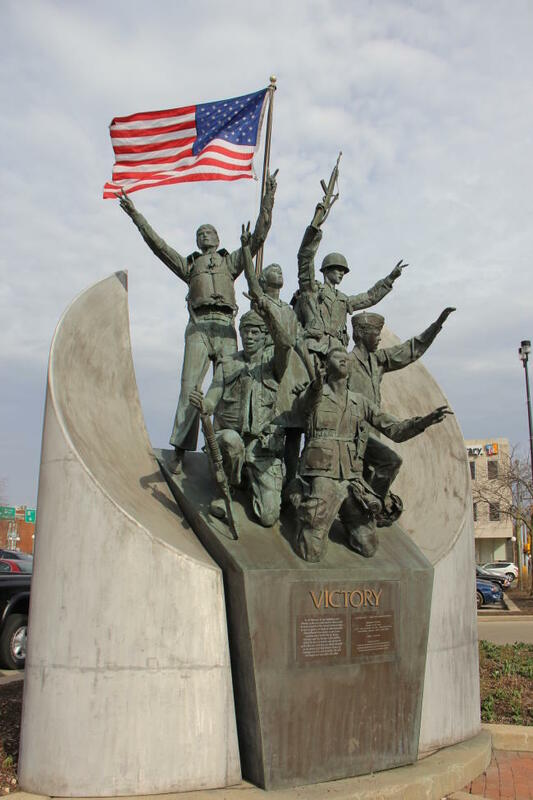 Located just south of Veterans Memorial Hall, this sculpture shows six figures of men and women of diverse ethnic groups from all branches of the Armed Services. They represent veterans of World War II, Korea, Vietnam and the Persian Gulf. No element of the sculpture was cast. Thousands of individual pieces were cut, hammered and welded together for this bronze and aluminum sculpture. 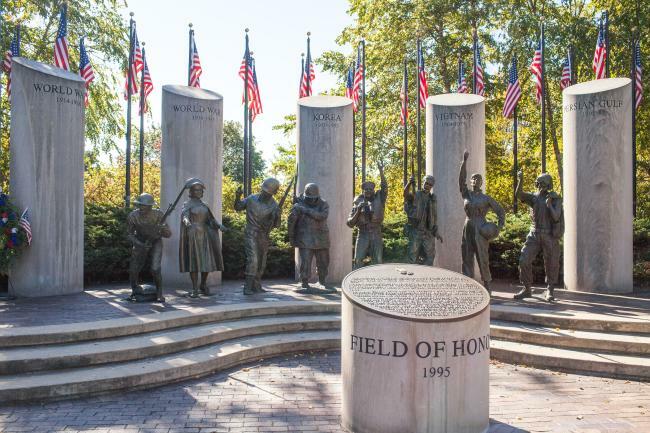 This Field of Honor memorial honors veterans who served in the five wars of the 20th century: World War I, World War II, Korea, Vietnam and Persian Gulf. There are 5 vertical columns for each of the 5 wars, and 8 life-size statues of men and women from a variety of military branches. Behind the columns and statues are a series of 40 American flags, and there is also a small column honoring civilian contributions to the war efforts. This memorial is a little more special to me because in high school, I attended a Veterans Day ceremony each year at Loves Park City Hall when our high school band would perform at the ceremony. The ceremony was always moving because a war veteran would be the keynote speaker. Afterwards, there would be a short program outside where Taps would play out by the memorial. The LZ Peace Memorial on the grounds of Midway Village Museum is a little more unique than others in Rockford in that there is a real helicopter on display. A Huey helicopter is part of the memorial because helicopters like that played a huge role for people in the military in Vietnam at the time. Food, supplies, ammunition and communication with loved ones back home all came from helicopters. 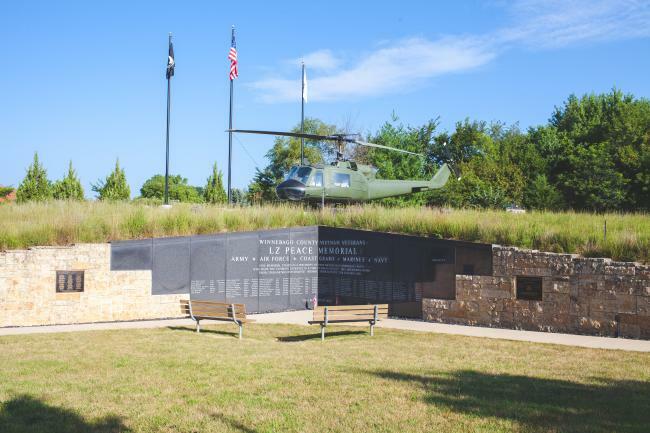 The memorial also features a black granite wall engraved with the 72 names of Winnebago County residents who died in Vietnam or later due to war injuries. Camp Grant in Rockford was a U.S. Army induction and training camp during World Wars I and II. A museum about Camp Grant is located at the Command Post restaurant on the grounds and contains photos, artifacts and displays about the history of it. Much of the Camp Grant land is now the Chicago Rockford International Airport. Although this is not technically a veteran memorial, this site does depict the hope for peace for all veterans and citizens alike. The Keeling-Puri Peace Plaza shows a large, metal map of the world in the center of a paved area. 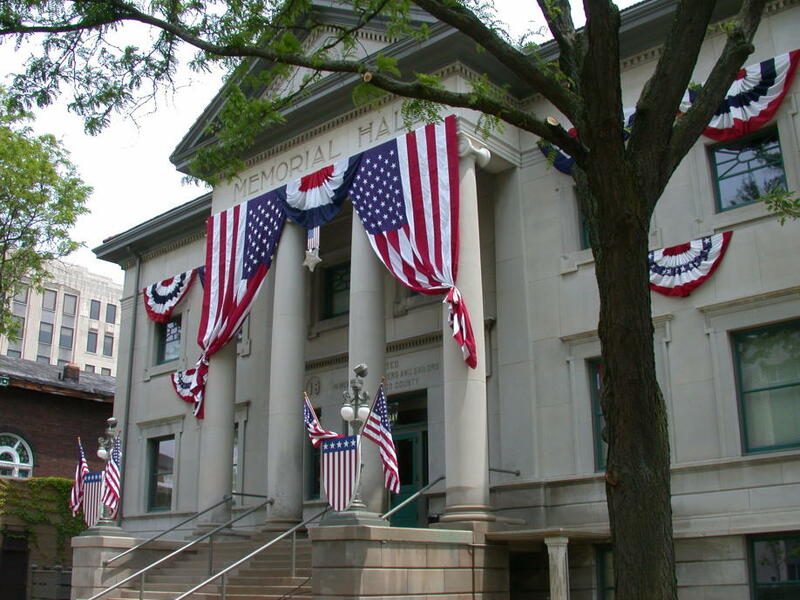 The outside of the are is surrounded by several flagpoles flying the flags of the major native countries of Rockford&apos;s first-generation immigrants. Also among the flagpoles are also a series of peace poles and a timeline of immigration in Rockford. 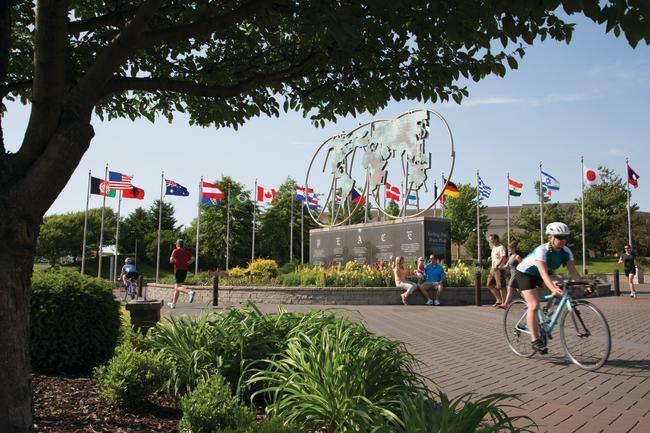 There is a special area of this site showcasing the flags of all of Rockford&apos;s Sister Cities as well.